No medical spa actually thinks that it is going to be the subject of an investigation by a regulatory agency in its state, and historically this has been the case more often than not. Agencies simply have not had the money or the manpower to police all the esthetic practices under its jurisdiction. However, as the medical esthetic industry has grown, the amount of scrutiny it receives from regulatory agencies has begun to increase, and the odds that your medical spa is going to be investigated are higher than ever before. If you do get investigated, the consequences can be extraordinarily severe. This is not like a speeding ticket; you can’t just get it, pay it and go on your way. Depending on the violations the investigators find, this could result in the suspension of your physician’s license, without which a medical spa typically cannot operate, as well as heavy fines. Medical spas should avoid regulatory agency investigations at all costs, and knowing why these inquiries are typically initiated will help you avoid them. Here are the top five reasons why medical spas are investigated. 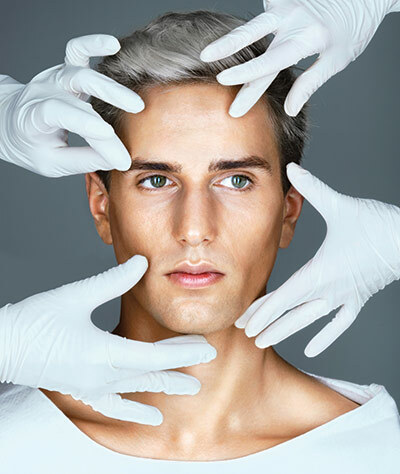 Most of the procedures performed at medical spas are considered to be medical in nature. When a practice administers these treatments, it generally must first conduct a face-to-face examination, wherein a physician determines the extent of the patient’s issue and prescribes a course of treatment. However, many medical spas have run afoul of state regulatory agencies, because they do not administer these exams. In fact, this is the primary reason why investigations are opened into medical esthetic practices. 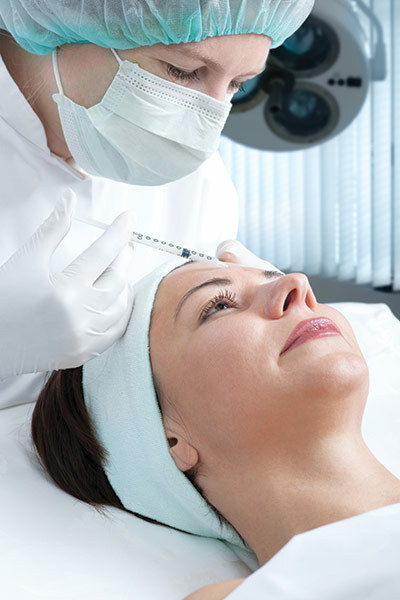 The disconnect here tends to involve minimally invasive treatments, such as injections of Botox and fillers. In many cases, nurses have gotten in trouble for administering these treatments without an exam because they think the procedure is so simple that an exam was not required. Medical spa owners and employees must realize that once you enter the realm of medical treatments, only a doctor can set the protocols, make the treatment plan and prescribe and delegate others to perform it. In most states, a physician can delegate the initial exam to a licensed practitioner, such as a nurse practitioner or a physician assistant, but he or she must still be involved with establishing this protocol and making sure that it is followed at all times. Regulatory agencies tend to be understaffed, so it is not terribly unusual for agents to spend a good deal of their time searching the internet for potential violations rather than conducting investigations in the field. It is not difficult for them to find violations, either; they simply search for terms, such as “medical esthetician” (which is not a real thing) or indications on websites that the practice is in contravention of state law, particularly as it regards ownership structure. In most states, only a physician or physician-owned corporation can own a medical practice. If a medical esthetic practice’s website indicates that an esthetician owns the practice, it might as well be begging to be the subject of an investigation. Medical spa owners and operators should also be careful not to advertise using testimonials that are hyperbolic or otherwise beyond the scope of what the practice does. Medical practices are subject to strict regulations when it comes to advertising, so they must only cite skills and accomplishments that can be proven. For example, if you’re advertising “the best Botox in Albuquerque,” you’re likely to hear from regulators, since you can’t prove that. Additionally, regulators are on the lookout for any indications that a practice has violated patient privacy laws on social media. Anything, even a simple “thanks for coming in” on Facebook, that can identify people as your patients online can be interpreted as a violation of Health Insurance Portability and Accountability Act (HIPAA), provided you have not obtained the patient’s consent. If you aren’t sure if your social media activity is actively violating patient privacy laws, consult with a health care attorney as soon as possible. Regulators are likely to initiate an investigation if a practice is found to have purchased pharmaceuticals from overseas sources that claim to be cleared by the U.S. Food and Drug Administration (FDA). The only drugs and equipment that can be purchased legally in the United States are those that have been cleared in total, which means that, in addition to the actual product, the packaging and inserts have been approved by the FDA. There are two different levels to this particular issue. On one hand, you have counterfeit drugs, typically Botox and fillers, that are manufactured in and purchased from China. These products could potentially be dangerous to clients and should be avoided at all costs. Thankfully, the distribution of these products has declined in recent years, as word has gotten out about their nature, but if you’re operating a medical spa and you run across a deal on Botox that seems too good to be true, it probably is. On the other hand, you have the issue of parallel importation, wherein legitimate products sold in countries where price controls keep the cost of prescription pharmaceuticals low are re-sold to practices in the United States for far less than they would otherwise pay. Parallel importation exists in something of a grey area legally, but pharmaceutical companies are compelling the FDA to crack down on it. If your medical spa has been found to engage in it, it will likely be the subject of an investigation. Medical spa owners and operators must understand that they are running medical practices, and a medical professional must always be on site. As mentioned previously, most of the procedures administered at medical spas are considered to be medical in nature. Although a doctor can delegate many of these treatments to others, including non-licensed individuals, it is still a good idea to have a licensed professional at the practice at all times to oversee the administration of these procedures. This can get a bit tricky when it comes to treatments such as microblading and dermaplaning, which traditionally have not been recognized as medical treatments but now typically are. Also, in most states, microblading must be administered by a professional with a tattooing or permanent makeup license, which complicates matters further. At some medical spas, physicians are nowhere to be found. They serve as medical directors in name only, and they don’t pay much attention at all to what is going on at their medical spas. In some cases, one physician oversees more than a dozen medical spas, which should give you an idea of how much time they spend actually working at these practices. Unless they have a large number of nurse practitioners or physician assistants on their payroll, there’s a good chance that these practices do not have proper oversight. Regulators can see that a physician may appear to be stretched too thin and use that as cause to see what’s going on at his or her medical spas. Although medical spas have to pay a great deal of attention to the rules and regulations involving the administration of medical treatments, they must also follow the rules related to their purely esthetic services. Most state boards of cosmetology require businesses that provide these services apply for a cosmetology “establishment license.” This may be called different things by different states, but essentially it is a registration with the Board of Cosmetology indicating that esthetic services like facials are being performed. Often, medical spas neglect to do this with their concern focused on dealing with matters related to medical compliance than with the esthetics side of the business. While boards of cosmetology are certainly less fearsome adversaries than medical boards, they have been known to cause problems for medical spas that ignore them. If your practice is offering esthetic services, make sure that you’re fully in compliance with your state’s board of cosmetology. As mentioned earlier, regulatory agencies tend to be understaffed, so it’s unlikely that a medical spa is going to get randomly investigated. Ninety-nine times out of 100, investigations begin because a medical spa is reported to the regulatory body, and this is more likely to happen as practices become more successful. As competition increases, a successful medical spa might have a target on its back, and a competitor may report it–sometimes for good reasons and sometimes out of professional jealousy. Also, patients who feel they’ve been mistreated, whether they have or not, likely will not hesitate to report you. In most cases, a patient won’t report you if they have a good experience, regardless of the outcome, but it’s always a good idea to provide patients with exceptional service so that they aren’t tempted to do something rash. After all, medical spa patients are a passionate bunch. Finally, it is not uncommon for former employees to report a medical spa to regulators if the parting of ways is messy. Make sure you properly set expectations, provide proper job descriptions and let everyone know exactly what they’re supposed to be doing. That way, if there is a termination, it shouldn’t come as a surprise or be unfair in any way. 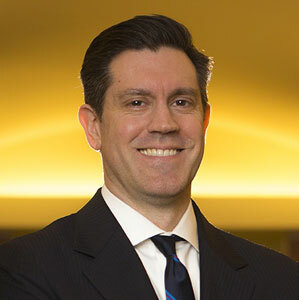 Alex R. Thiersch, J.D., is a health care attorney who represents medical spas, plastic surgeons, and esthetic medical professionals. He is the founder and director of the American Med Spa Association (AmSpa). Thiersch is also a partner at ByrdAdatto Law Firm. For more information, visit www.americanmedspa.org or e-mail alex@americanmedspa.